Celebrating birthdays is a big “thing” to me. I feel a person should begin celebrating their birthday at least a week in advance of the big day. 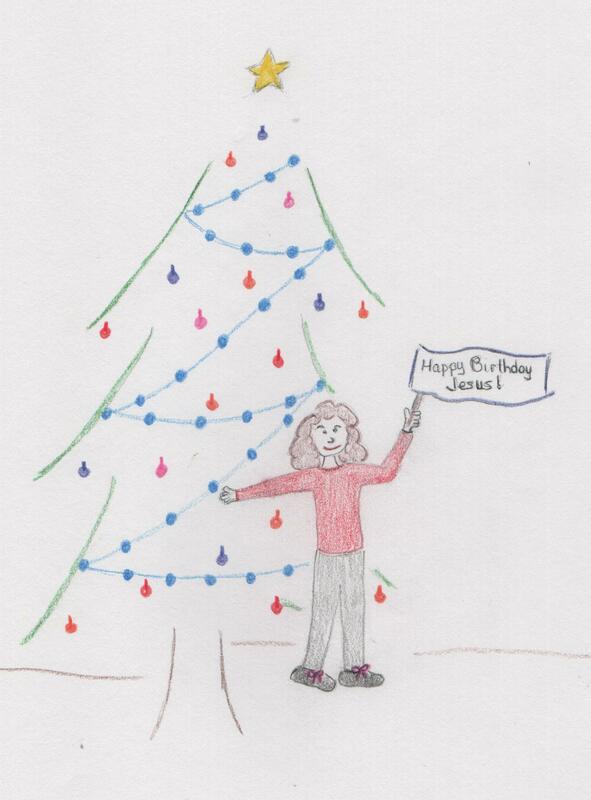 We celebrate Jesus’ birthday in December, but my anticipation and planning begin the end of October. After all, His birth led the way to His death-resurrection-and accession to heaven. Every day He intercedes to God the Father for us on a minute-by-minute basis. You may feel you are alone, but when you’ve received Christ Jesus as Savior and Lord, His Spirit comes to reside within you, and you are never alone again. Talk about reason to celebrate! Along with that, God gave me four extraordinary gifts this past week that I’d like to tell you about. After the stroke of June 2014, I had been unable to swallow normally. In spite of a one-year limit for progress given by most physicians, the wonderful people at St. Luke’s Rehabilitation Hospital, Spokane, told me not to be surprised if the healing continued. I knew then and I know now that God, Who created all things, can do anything. I swallowed my “horse-sized” vitamin capsule (without taking it apart and mixing it with applesauce). I swallowed my “horse-sized” magnesium tablet and Vitamin C tablet (without crushing them and putting the powder into cottage cheese). I swallowed my even larger calcium capsule without taking it apart and mixing it with the above. I bent over with water in my mouth to tie my shoe (oops, forgot to be careful) and the water did not shoot out of my nose. Why are these actions important? They are important because I have been unable to do them for over two years. Anyone who has eaten with me knows how slowly I eat. Each bite is a mindful one so that I don’t choke. Steady progress has led me to be able to swallow an increased number of foods, but bites must be small and followed by sips of water. Also, some foods have stuck in my esophagus and I have to pay attention for “warning signs”. As for water shooting out of my nose, a kid would find that just plain funny but most adults don’t. He wants to walk us through good times and bad, and on to victory. Jesus is THE WAY to that victory. It’s pretty amazing when someone wants to give you a present on their son’s birthday. It’s even more amazing when it is God. Drum roll! Horn toots! Hand claps! Join with me as we celebrate the Savior’s birth! Join with me as we celebrate His love. This entry was tagged Christmas, Happy Birthday Jesus, healing, stroke, swallow, swallowing. Bookmark the permalink.